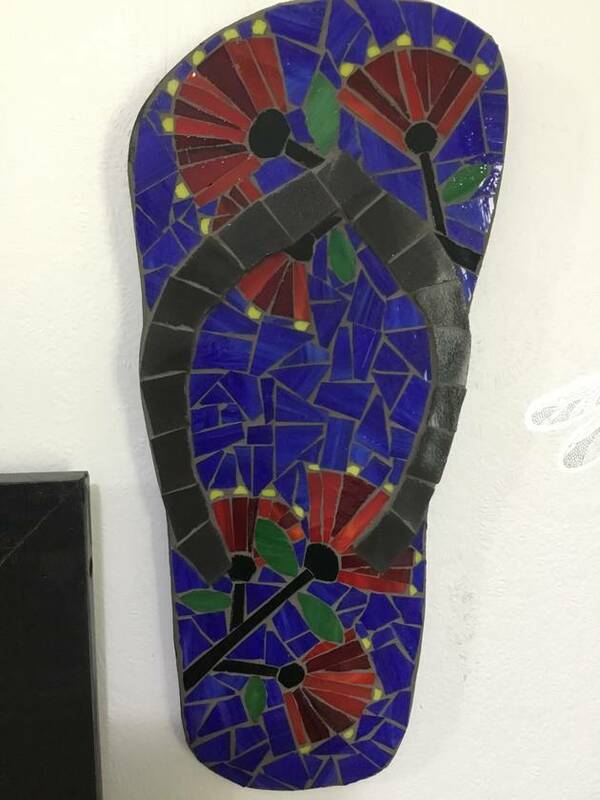 Beautiful wall hanging kiwi Jandel with my representation of pohutakawa flowers on a dark blue background, with dark grey slightly raised straps, made from stained glass and glass tiles. Suitable for inside or undercover as the base is mdf, d ring for hanging, painted back and sides. 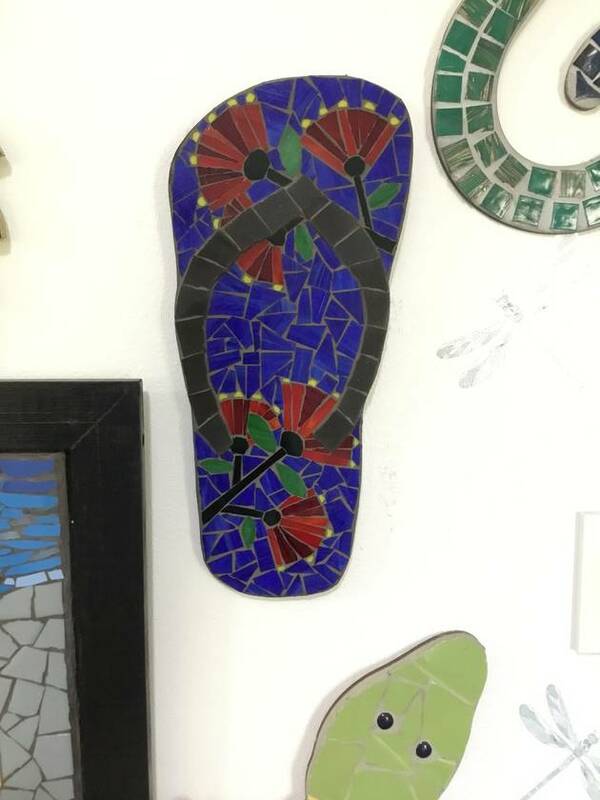 Great gift for sending overseas or for the beach house or Bach, or beach themed bathroom. Contact heartandsoul to enquire about payment or shipping options.